With Thanksgiving only three days away and it being a holiday centered around food, I rounded up some of my favorite dishes that would be a great addition to any Thanksgiving meal. For appetizers, you have candied pecans for those who love their sweets and for those who prefer savory options, there’s homemade ricotta and pigs in a blanket. Finally, to accompany all the turkey, stuffing, mash potatoes, and cranberry sauce, you have popovers with their crispy crust and soft inside. Here’s to a holiday filled with friends, family, and lots of delicious food! 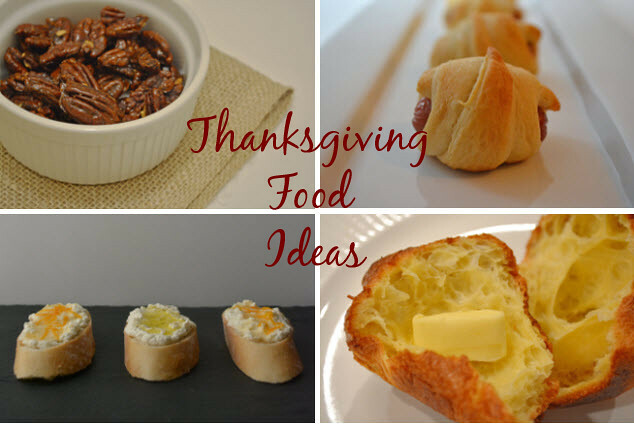 I love popovers, but I'd never thought of them for Thanksgiving - what a wonderful idea! Thanks! Only in recent years did my family add popovers to the Thanksgiving menu and they have been a hit! I highly recommend you add them this year. YUM!!!! I always love the holiday season. So much great food!